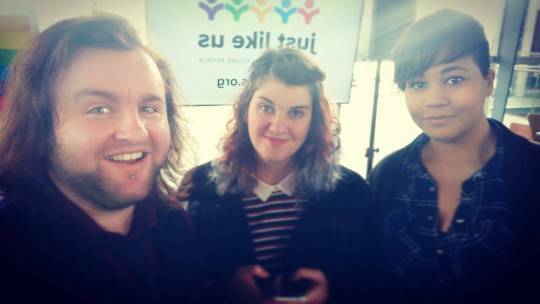 Basically, there was a charity event on for Just Like Us today which is an LGBTQ team goes to UK schools and talks about being LGBTQ and what it means etc. We made a Christmas Album for them to raise money. The head of the whole charity came up to us three and addressed us as: The 12 Gays of Christmas. It was great to see young people talking about how they’re okay being LGBTQ and it’s been hard for them but super grateful for the charity helping improve issues. 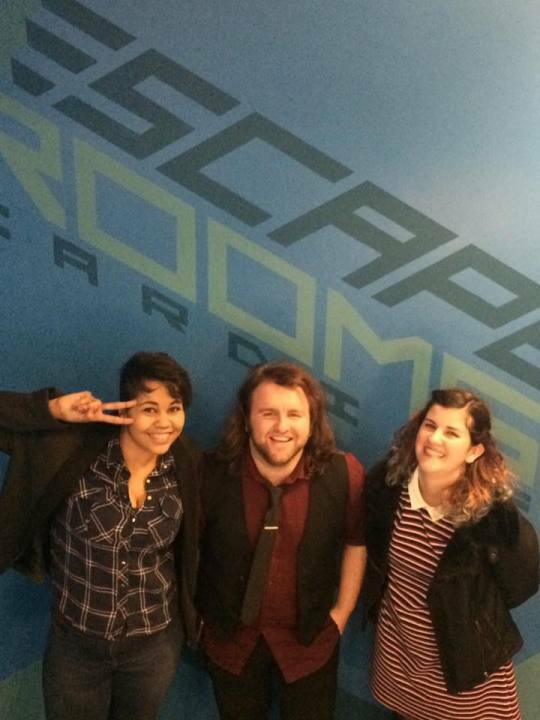 We then went to Escape Rooms Cardiff which was amazing. Like REALLY GOOD. We had 20 seconds left on the Sherlock room. We did really bad, but it was SUPERB! Then we went to the pub and had a wonderful chat. Tom came too. I’m lucky to have such wonderful friends. I find it hard to write lately, I’ve always tried to film the things that I write, that’s the producer side of my brain. I want the things I write to be made so when I know they won’t I just don’t write stuff. Even though I enjoy doing it. Feeling everything my characters feel. 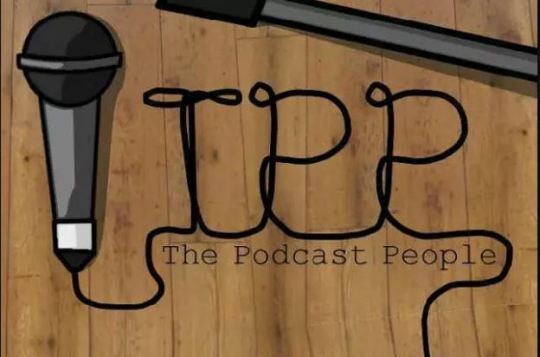 I’ve been writing again, I’ve been writing a short thing for my friends and also re-writing my friends Pilot for a series he wanted to make 4 years ago called “The Podcast People”. It’s a great idea but needs a lot of work now. This was from an original image of the show. We’re talking I was in first year of University when this was brought to me, I swear it’ll be good… I hope. Here are my tips, get people to make wrong choices, if you see someone making an aim for a set. Get one of them or do some trading. The oranges are the best. Own the whole street or that corner with houses or hotels and you will win big. 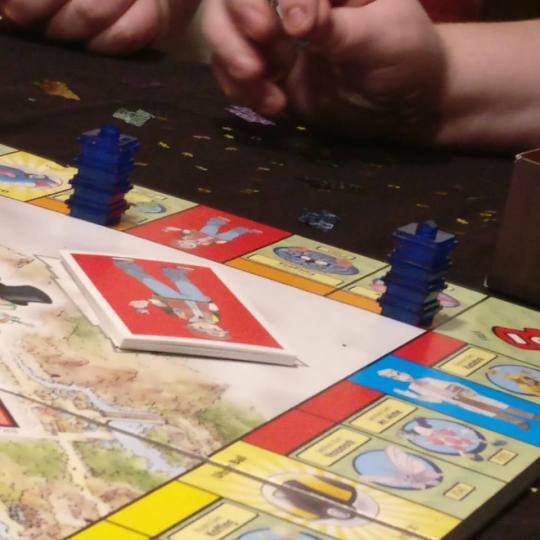 We played Pokemon Monopoly and that shiizzzz was amazing. I still hate it. I also ordered pizza and drank Fireball Whiskey. I like Black Betty by Ram Jam which is actually one of my names… Ram Jam not Black Betty. Not only would that be offensive but very inaccurate. Ram Jam = RJ. I woke up on the settee with a question, do I want to see Hidden Figures. The answer… YES. 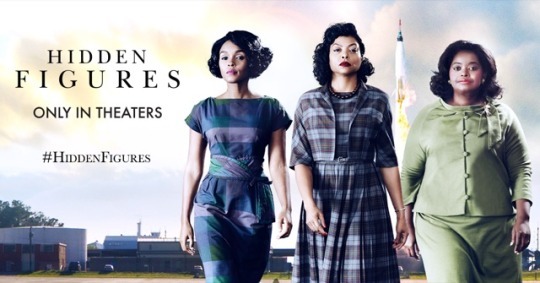 This film about the African-American women of NASA that helped compute calculations and get the IBM system working for future use, was amazing. 3 main characters. 3 stories following them. Each section felt fleshed out and you cared for each of them as individuals. The actors did an amazing job to this story. This film is obviously changing parts and dates of when things happened, but I’m so glad this movie got made. I am surrounded by love and I need to show it more. With this piece of stress away I can focus on myself more, compared to focusing on how stressed I am all the time. I am like a fire that never goes out. This boy is on fire. This boy be lit. I’M AN ETERNAL FLAME BABY! yeah, i’d probably be a fire type if i was a pokemon. A year ago I made the decision to move out from my family home in Swansea and move to “Cardiff” I use that as I’m actually in Caerphilly County Borough/Cardiff/Newport/I DONT ACTUALLY KNOW. I moved out a year ago today. A decision I made quickly and had very little to support myself on. Quit a job to go three months without another one. Was it stupid? Yes. Would I do it differently it if I could? Not a chance.